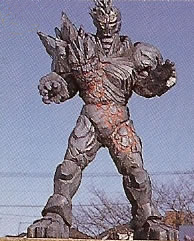 The first monster the rangers faced, it appeared to Carter in the fire. It was destroyed by the Ranger's Rescue Blasters. Jinxer summoned a meteor to crash on Mariner Bay and Magmavore attacked the city with fire. The Lightspeed Megazord hurled him into the lava and it exploded. 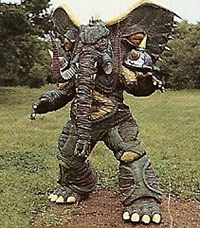 This monster came after the rangers stopped the spikes that were causing tremors and was destroyed by the Lightspeed Megazord. 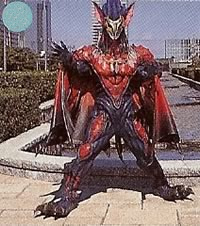 "Trial by Fire" & "Sorcerer of the Sands"
This monster summons tornados and was hidden within one, it was destroyed by the Lightspeed Megazord. 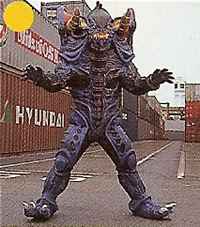 Baby Impus created Fieror to steal a fuel cell from the rangers, fought them and got the case but it was empty. This angers him so he created a a circle of fire above the city, which is drawing on sun's power to roast the citizens of Mariner Bay, and detonate the heat sensitive fuel cell. 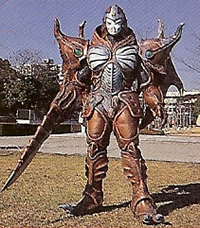 He was destroyed by the Lightspeed Megazord. 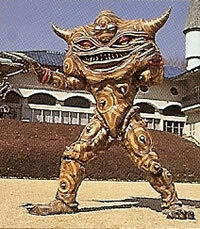 "A Matter of Trust" & "Sorcerer of the Sands"
This nameless monster gives the Rangers powerful winds and was disposed with the Rescue Blasters. This was a monster who sent shockwaves through the ground and was destroyed with a single shot of the Rescuebird. 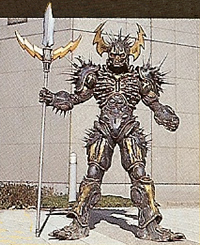 Striking summons lightning through spikes, the Lightspeed Megazord got hit with the spikes and the Rangers quickly grabbed the monster with the ladder arms and lifted him off the ground, which conducted the lightning attack through them and right back at the monster.